Cholla Needles Arts & Literary Library: John Brantingham - Crossing The High Sierra - New Book! 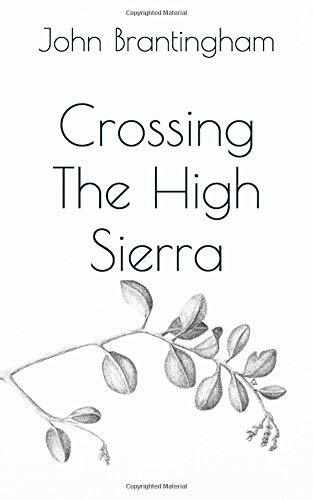 John Brantingham - Crossing The High Sierra - New Book! ate more than was good for me. who hates the long wait in his paddock. and there has never been a morning like this one. John Brantingham is Sequoia and Kings Canyon National Park’s first poet laureate. His work has been featured in hundreds of magazines and The Best Small Fictions 2016. He has ten books of poetry and fiction including The L.A. Fiction Anthology (Red Hen Press) and A Sublime and Tragic Dance (Cholla Needles). He teaches at Mt. San Antonio College. He and his wife, Ann, teach poetry, fiction, and art classes in Sequoia and Kings Canyon.